Dr. Mike Adenuga Jr. is one of Africa’s most creative and illustrious investors. Apart from holding Nigeria’s highest civilian honour of Grand Commander of the Order of Nigeria (GCON), he holds France’s highest national honour of Commander of the Legion of Honour conferred on him as a true model for Africa who has contributed immensely to the growth of the African and French economy. He is the first Nigerian to be so honoured. He also holds Ghana’s highest civil award of CSG, the Companion of the Star of Ghana in recognition of his unique and outstanding contributions to business enterprise both in Ghana and the continent of Africa at large. Dr. Adenuga has also bagged numerous individual and corporate awards, within and outside Nigeria, at various times including, “Entrepreneur of the Year”, “Man of the Year”, “Best Telecom Personality of the Year” and “CEO of the Year”, among others. Dr. Adenuga is also the Chairman of Nigeria’s leading independent oil and gas exploration/production company, Conoil Producing Limited. He is the Chairman of Nigeria’s telecommunications giant, Globacom which also operates in Ghana. 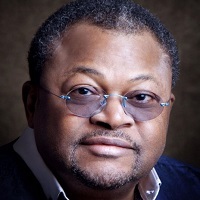 Dr. Adenuga studied Business Administration at Northwestern State University, Alva, Oklahoma in the United States of America. He earned a Masters degree at Pace University, New York, United States majoring in Business Administration with emphasis on Marketing. Dr. Adenuga became the Chairman, Board of Directors of Conoil Plc in 2001.